Scottish literature -- 18th century. English literature -- Scottish authors. Authors, Scottish -- 18th century -- Biography. 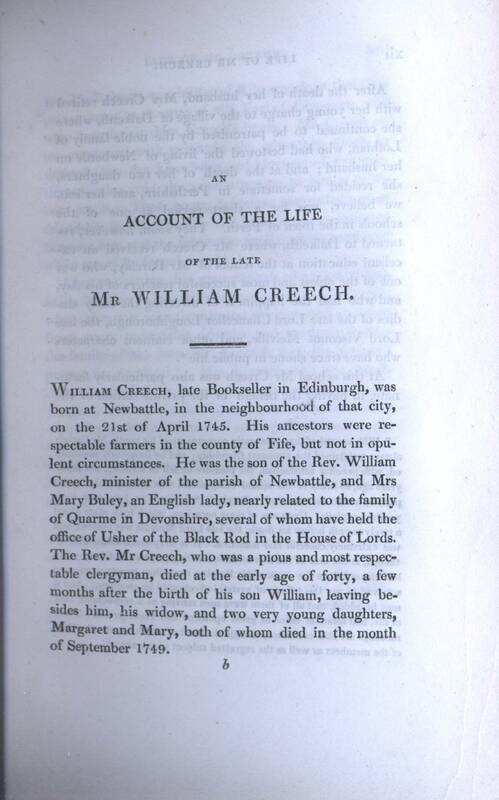 The first page of the introduction to Edinburgh Fugitive Pieces, published in 1815 after the death of William Creech. 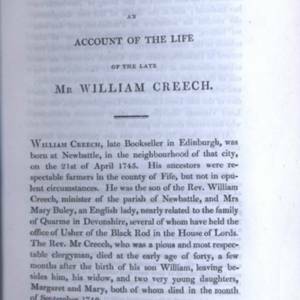 Creech, William. Edinburgh Fugitive Pieces. John Fairbairn, 1815. John Fairbairn, “Introduction to Edinburgh Fugitive Pieces ,” UVic Libraries Omeka Classic, accessed April 21, 2019, http://omeka.library.uvic.ca/items/show/1399.